EP-ul a fost lansat în data de 16 ianuarie 2019, prin FiveSe7en Collective. WNOL stands for When No One's Listening. The duo consists of emcees named MCRE (from Connecticut) & Think 2wice (from Portland, Oregon). 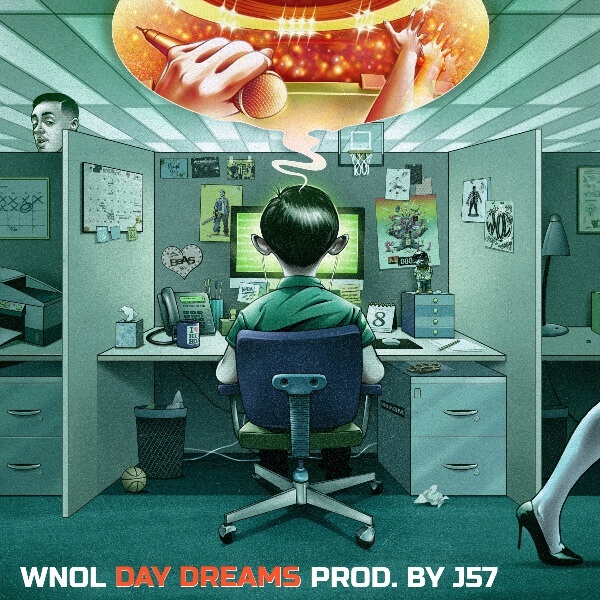 They linked up with J57 in 2018 and inked a deal with 57's FiveSe7en Collective record label as well, creating the "Day Dreams" EP that drops on January 16th! Features include Copywrite, I.N.F of Dead Rabbits and female vocalist Little Thousand. All beats were produced by J57 - one track was co-produced by Rob Viktum. Art was created by Marvel Comics illustrator, Chris B. Murray.